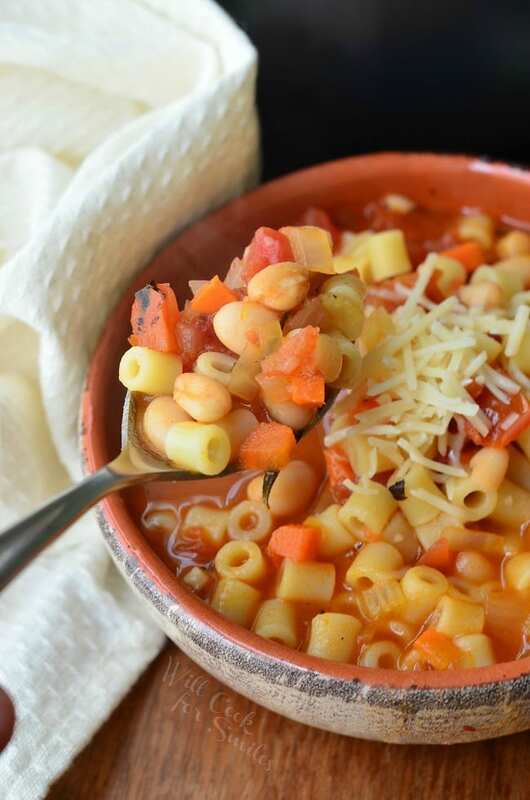 This comforting Pasta e Fagioli Soup is vegetarian and made with cannellini beans, ditalini pasta, veggies and lots of love. 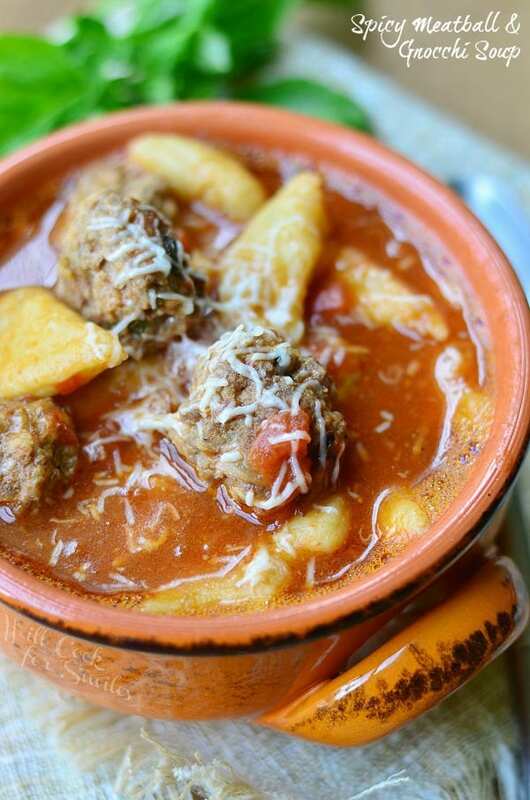 This Italian classic soup is so comforting on a cold evening. 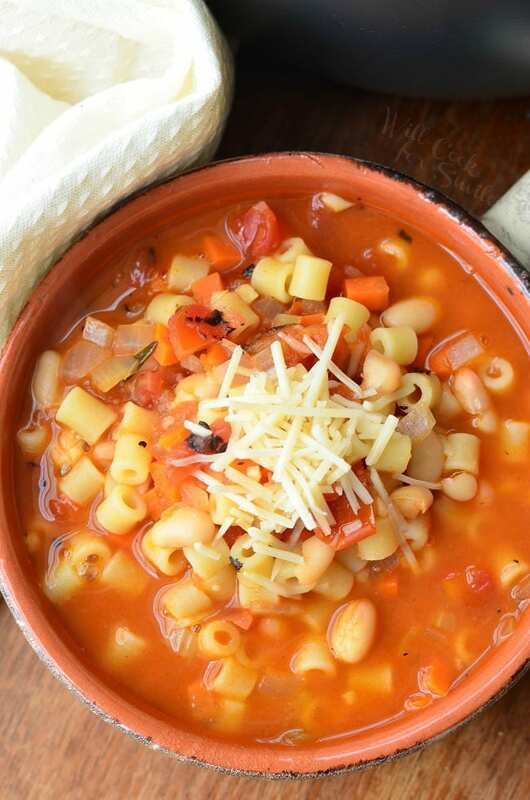 Flavors in this soup are very simple so the whole family can enjoy it without being picky. 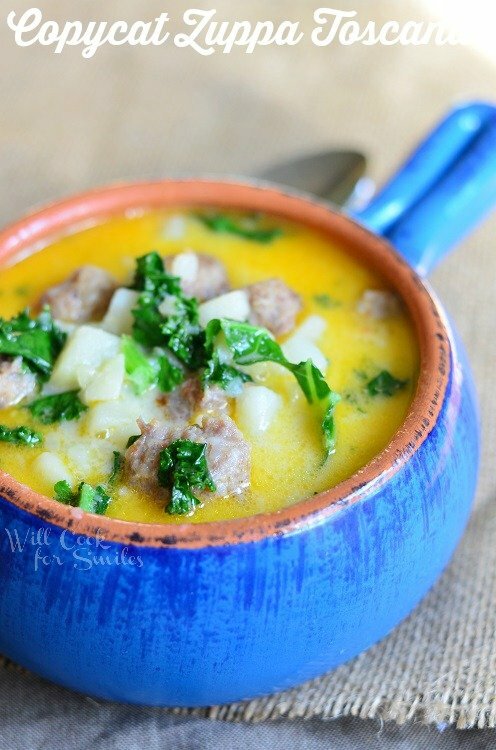 Little man and I love this soup and I often make it as a quick lunch. I would say that I make it just as often as Loaded Potato Soup and Zuppa Toscana, which are our favorites. 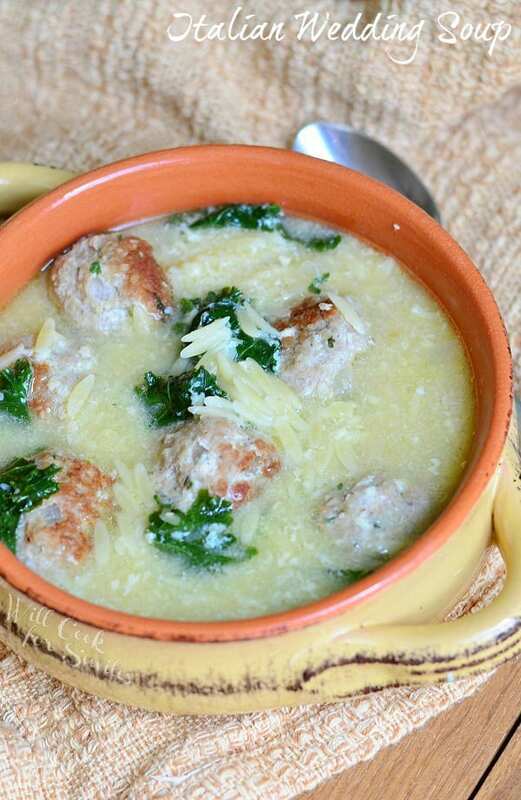 If I want little man to eat well, soups and many Italian classics like lasagna, meatballs and pasta with pesto are my go-to dished for him. I’m actually realizing that I make so much more Italian food than I do Russian food. I do have a slight obsession with Italy and Italian food and my little man seems to favor it as well. Heart wants what it wants, right?! 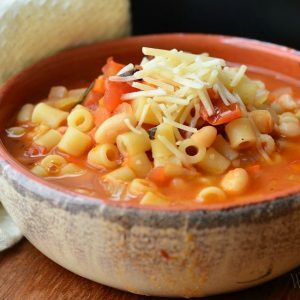 I started making this soup a few years ago, and actually shared in on the blog but I’ve made a few changes to the original version. I needed to share this perfected recipe because everyone should try this delicious bowl of comfort at least once. There is nothing in here that you can’t love. 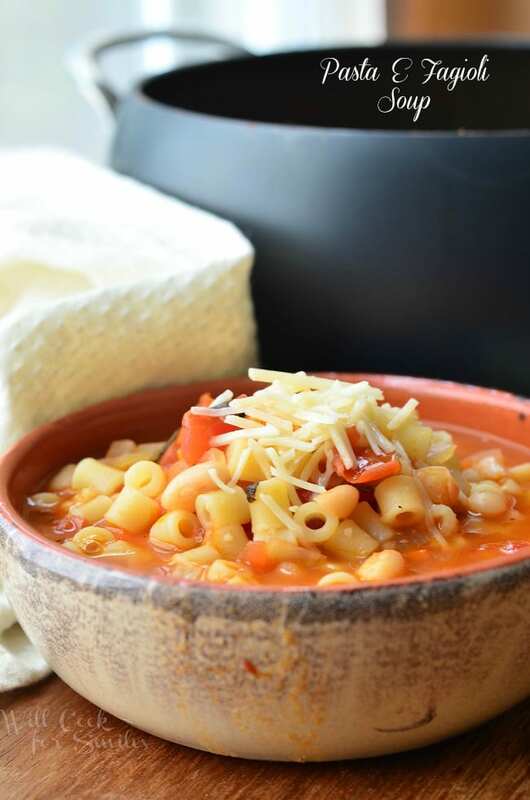 Every bite has some pasta, white beans and veggies, infused with fresh herbs and garlic flavor. Parmesan cheese is always a winning addition. Cook ditalini, drain and set aside. Preheat olive oil in a large pot, over medium heat. Add diced onion, diced carrots and diced celery. Saute until vegetable start to soften. Add can of tomatoes (don't drain), make sure they are diced as well. Stir well. Drain beans and add them to the pot as well. Add stock and tomato sauce, stir well. Raise heat to medium-high and bring soup to boil. Once it starts to boil, lower heat back to medium. Add salt, pepper, thyme, basil and rosemary. Stir, cover and cook for 10-15 minutes. Add cooked pasta and cook for another 5 minutes. Add some grated Parmesan cheese on top of each bowl as you serve it. I am a huge fan of of soup around this time of year. It’s way too cold and soup is just down right comforting! I’m adding this to my must make list. It look delicious! LOVE this soup, Lyuba. It’s one of my favorite types! 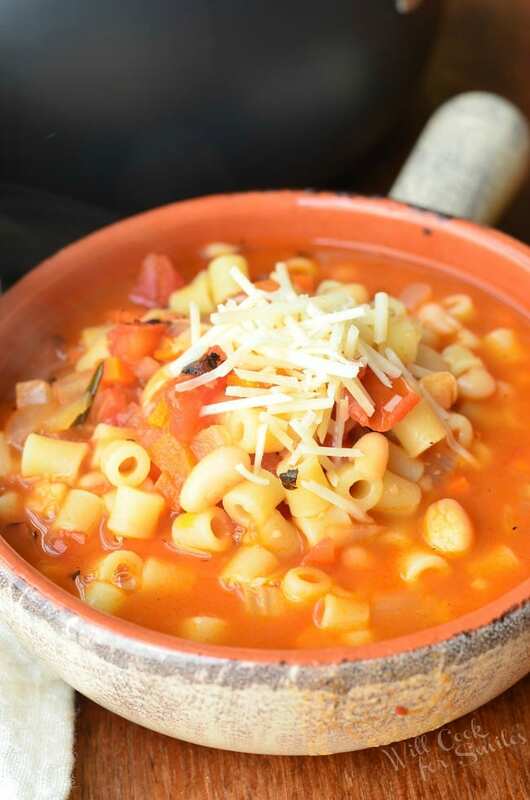 This soup looks so hearty and delicious with the pasta, beans and tomatoes and I love the fresh herbs – yum! Thank you also for linking to my Cajun Pasta Soup! You soup looks wonderful as well! This soup sounds wonderful. It calls for fresh herbs. Have you tried it with dry? If not, do you think dry herbs will work? 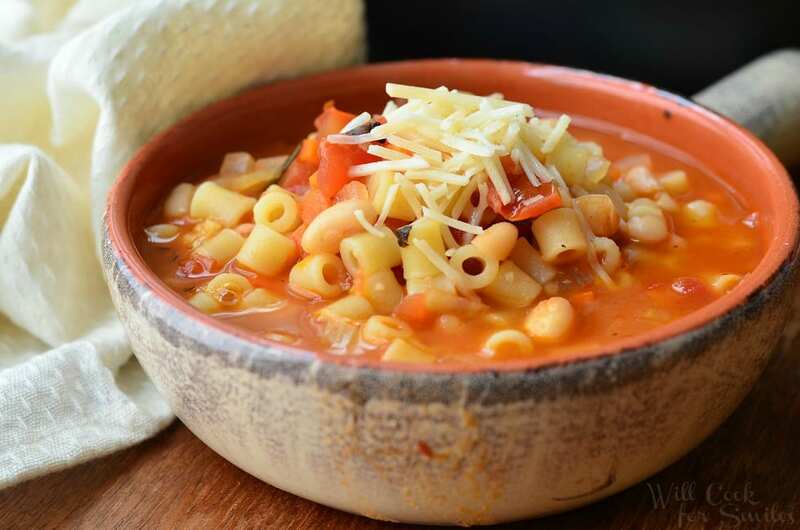 This is my favorite pasta fagioli recipe. Delicious! Yay! Thank you so much, Kelly! This was delicious tonight on a minus 13 degree day. Served with focaccia and veggies with homemade yogurt ranch dip. Thanks for a wonderful recipe!